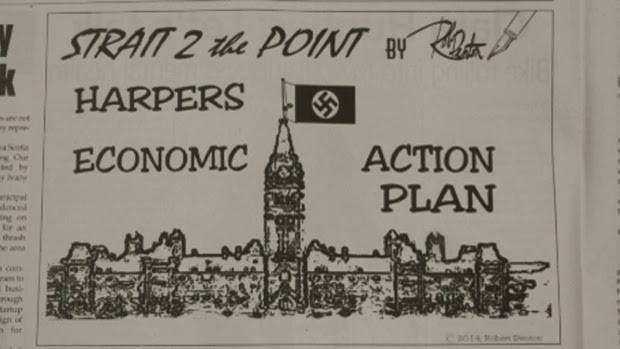 Harper Or Putin: Who Is The Bigger Nazi? Today I feel like encasing Rob Ford and the neo-nazi right wing nutjob Stephen Harper in concrete & dropping them into the Marianas Trench. The Harper government quickly fired back. They deflected the blame to Vladimir Putin and the rogue state of Russia insisting that they were the real Nazis. At this moment it is unclear whether Putin and his gang of Storm Troopers will respond. Authentic Nazis may or may not exist on secret bases in Antarctica waiting for the perfect moment to take over the world while people are distracted with bickering over who is a Nazi.